Tyrosine phosphatase which dephosphorylates or contributes to the dephosphorylation of CTNND1, FLT3, PDGFRB, MET, RET (variant MEN2A), KDR, LYN, SRC, MAPK1, MAPK3, EGFR, TJP1, OCLN, PIK3R1 and PIK3R2. Plays a role in cell adhesion, migration, proliferation and differentiation. Involved in vascular development. Regulator of macrophage adhesion and spreading. Positively affects cell-matrix adhesion. 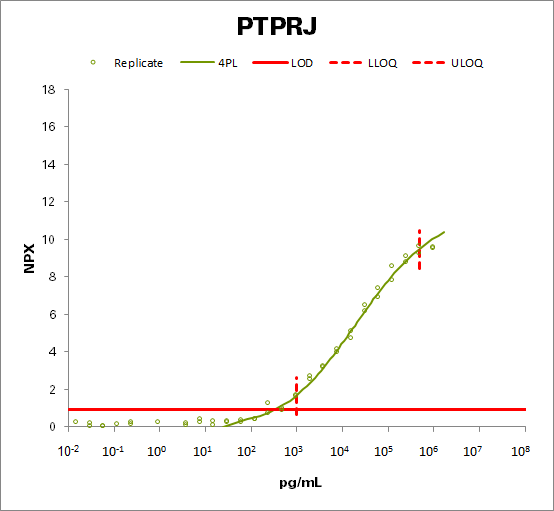 Positive regulator of platelet activation and thrombosis. Negative regulator of cell proliferation. Negative regulator of PDGF-stimulated cell migration; through dephosphorylation of PDGFR. Positive regulator of endothelial cell survival, as well as of VEGF-induced SRC and AKT activation; through KDR dephosphorylation. Negative regulator of EGFR signaling pathway; through EGFR dephosphorylation. Enhances the barrier function of epithelial junctions during reassembly. Negatively regulates T-cell receptor (TCR) signaling. Upon T-cell TCR activation, it is up-regulated and excluded from the immunological synapses, while upon T-cell-antigen presenting cells (APC) disengagement, it is no longer excluded and can dephosphorylate PLCG1 and LAT to down-regulate prolongation of signaling.